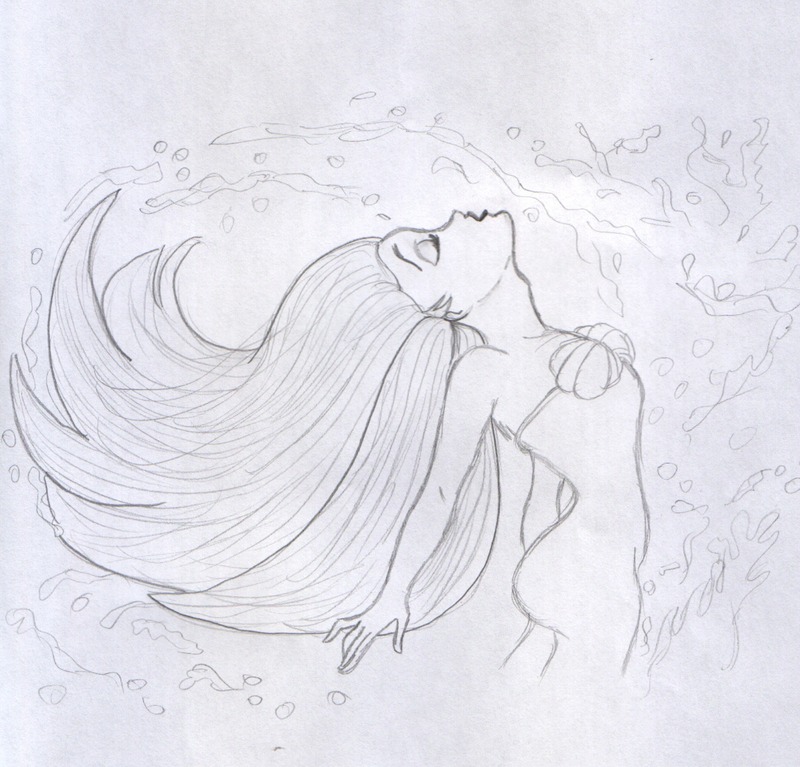 My drawing of Ariel. . HD Wallpaper and background images in the Disney Princess club tagged: disney princess fairy tale. 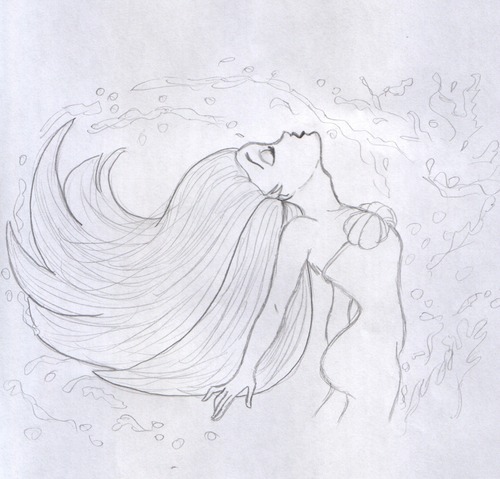 This Disney Princess fan art might contain سرخ بند گوبھی. Showing us some booty there. But dang, I love her hair. And the water! Oh my goodness, the water! Why can't I draw splashes like that? It's so pretty.